After a tumultuous start, the S&P 500 has continued its record rise this year. Independence Day is around the corner, and trading volume is expected to be light this week as investors get ready to ditch their stock charts for their barbeques. While the all-important monthly jobs report comes out on Thursday (a day earlier than usual because of the three-day weekend), there's not much else on the economic or earnings calendars to move the markets. But as the first half of the year comes to a close this week, we here at CNNMoney are in a reflective mood. After all, you can't know where you're going until you know where you've been. Here's what you need to know about the markets year-to-date, and what to possibly expect for the rest of 2014. The calm after the storm: It wasn't pretty at first. After a record run in 2013, stocks were hit by turmoil in the first quarter as harsh winter weather dampened corporate profits and the emerging markets rapidly sold off as investors worried that the tightening of Federal Reserve's easy money spigot would reverberate to those countries that were relying on cheap foreign investment to fuel growth. Throw in the crisis in Ukraine, it it looked like investors were in for a wild ride. But warmer Spring weather eventually came, the emerging markets' fears subsided, and the tense standoff between Russia and the West has seemingly been dialed back for now. Related: Russian markets: They're baaack! Stocks have been the "little engine that could," slowly pushing higher. The S&P 500 closed at a record high 22 times this year, according to Jeffrey Hirsch of the Stock Trader's Almanac. The blue chip index has gained about 6% so far this year, and the tech-heavy Nasdaq is up 5%. 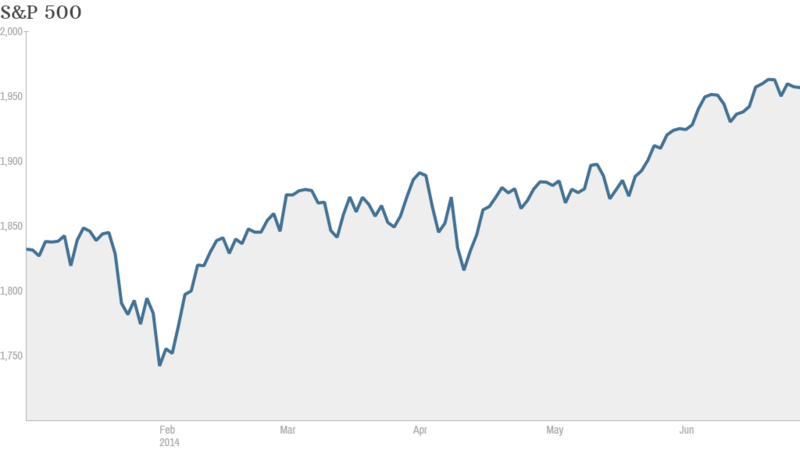 The Dow's rise has been less pronounced, but it is still positive at about 1.6%. Even emerging markets have rebounded. The iShares MSCI Emerging Markets ETF, which was battered in the first quarter, is now in positive territory for the year. Further, as companies take advantage of a rising stock market and ultra-low interest rates, mergers and acquisitions activity and initial public offerings have been hot this year. 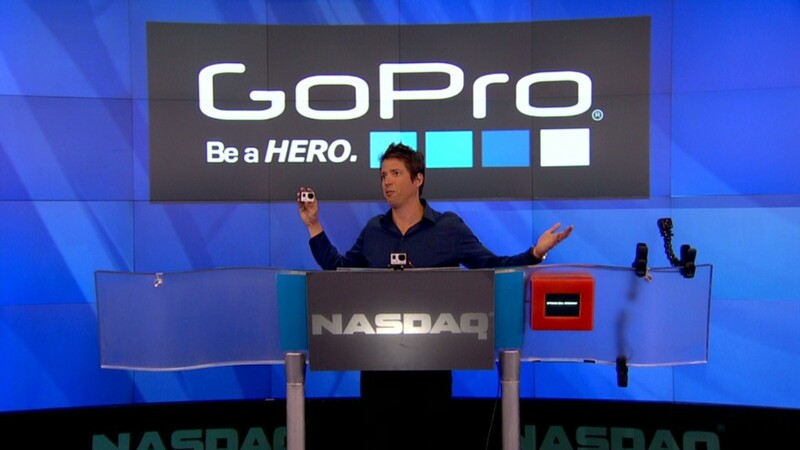 GoPro (GPRO) is the latest mega success, having jumped 50% since its debut on Thursday. Winners and Losers: The stocks with the most gains so far in 2014 have come from a wide range of sectors. In the S&P 500: Keurig Green Mountain Coffee (GMCR) has jolted up 65%, while Electronic Arts (EA), the best performer on CNNMoney's Tech 30 Index, has soared 55%. Southwest (LUV)and Delta Airlines (DAL) have both climbed over 40%, and Under Armour (UA) has risen around 35%. In the loser category, Coach (COH) has taken the worst with an almost 40% decline, while Whole Foods (WFM) has dropped over 30%. Staples (SPLS), Bed Bath & Beyond (BBBY), Best Buy (BBY), and Amazon (AMZN) aren't far behind in the unglamorous contest for the biggest loser. Ok, now what? What will happen in the second half of the year is anybody's guess, but that doesn't mean market strategists of all stripes aren't trying to predict the future. In a midyear report, analysts at BlackRock said that while stocks aren't cheap, the market should continue to rise. They recommend favoring large cap stocks and cyclical sectors like energy over small cap stocks and companies in the consumer discretionary sector such as retailers. CNNMoney's most recent survey of investment strategists finds that most are still bullish. They anticipate a 6.5% gain for the S&P 500 this year. The index is well on track for that already. Another question for the markets going forward revolves around interest rates. Although the Federal Reserve has maintained that it plans to keep its key federal funds rate near zero for the rest of the year, the Bank of England is likely to start hiking rates in the fall, and that could have repercussions for the U.S., according to economists from Barclays. "The lesson here is that rate expectations can change very quickly," they said.